Most houses in Chatham-Kent are heated by gas furnaces or boilers. During an inspection, I will run the furnace to make sure it cycles properly. I will inspect the filter and heat exchanger of the furnace, as well as determine the size and age of the furnace, if possible. 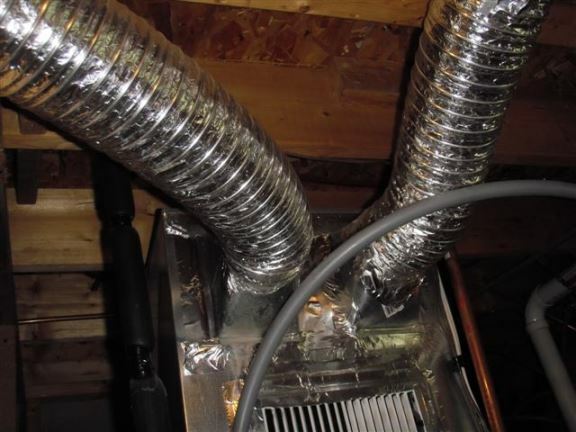 The ductwork will be inspected and I will make sure every room has a heat source. As I am inspecting the furnace, I will instruct you on how it should operate and how to maintain your furnace, humidifier and HRV, if present. Did you know that most boilers require an annual inspection by a licensed natural gas technician (TSSA certified)? I will inspect chimneys for safety and compliance, as well as natural gas lines. If a house has baseboard electrical heaters, I will make sure they function. 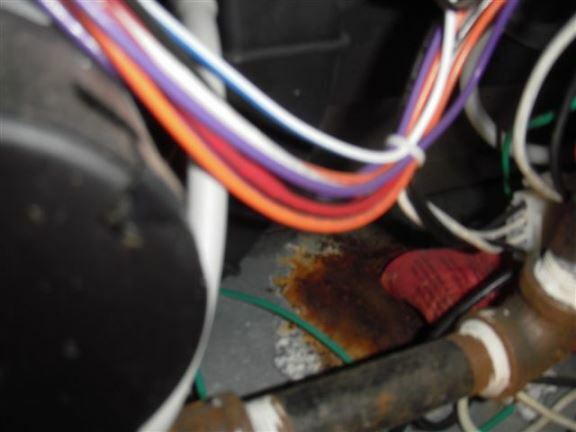 A condensate leak into a furnace is causing rust. 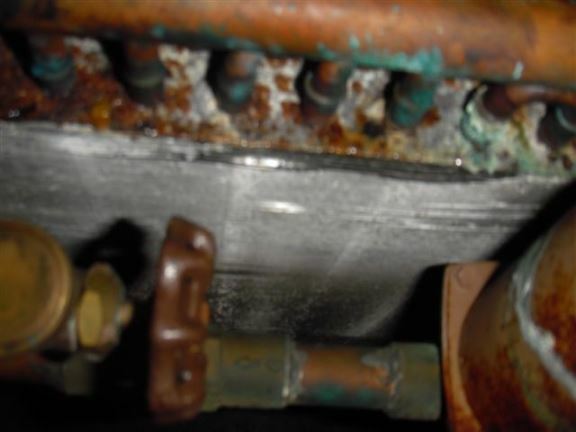 Corrosion on a furnace heat exchanger will result in the need for costly repairs. 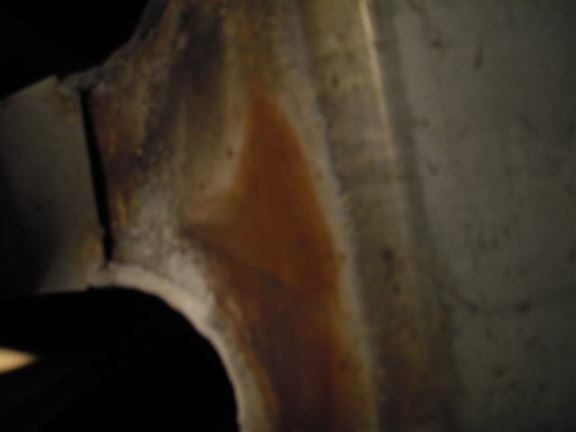 This cracked heat exchanger will result in the furnace being condemned. 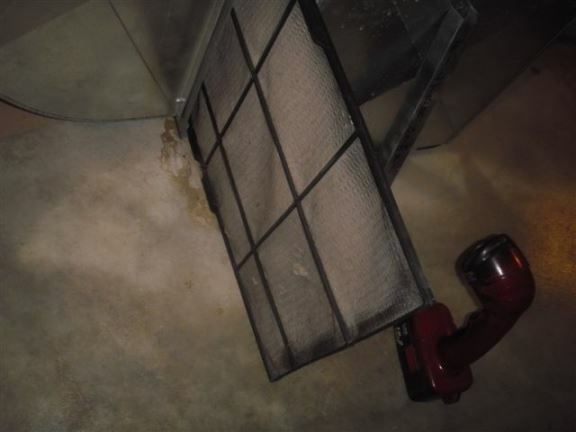 This furnace filter is completely clogged and could result in furnace over-heating. Mold in a humidifier tray will spread mold through the house. 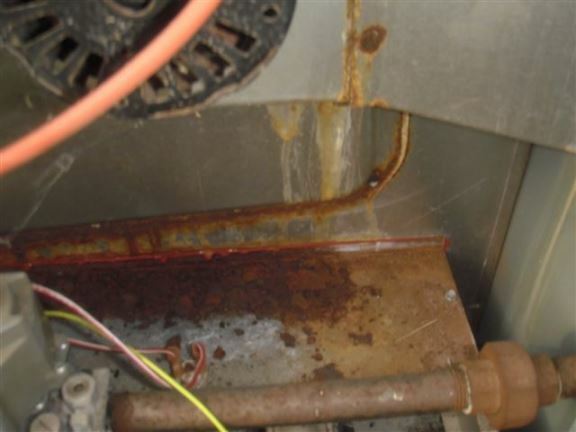 Rust inside the furnace is indicative of a blocked air conditioner drain. 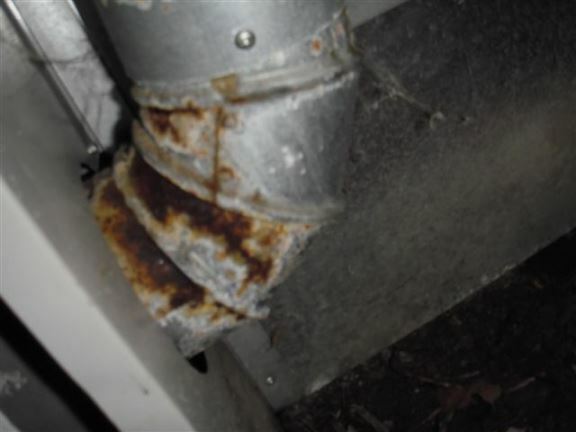 This rusted furnace exhaust pipe will eventually rust through, allowing carbon monoxide into the house. This newer Chatham house had a furnace installation by a homeowner that is not up to code. This very old boiler has an asbestos covering, but was still approved by a gas technician who tested it.